First an Introduction to List Building, The “money is in the list”. That old adage is true and will remain so for quite some time to come. 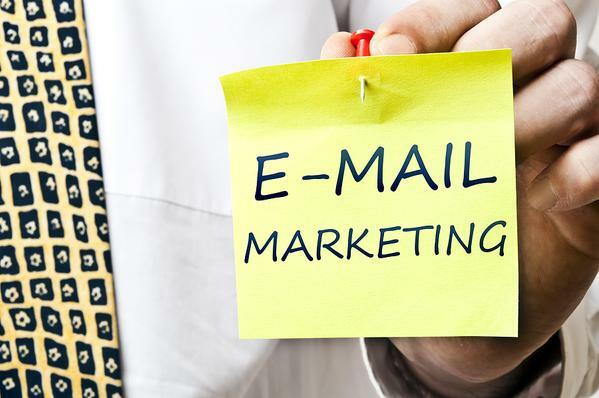 Email marketing still holds the #1 spot as about the most profitable methods of online marketing. So if you’re not building a list, you’re missing out on earning reliable and simple profits online. It doesn’t matter what you’re selling or promoting, a list of names and emails of prospects is an essential marketing resource. It creates a community of people who understand your business and have an interest in it. And it allows you to easily and profitably communicate with this inner circle on a daily basis. If you’ve been trying to build a list but have failed, get your Free account on an autoresponder site and start building a real lists! Once you’ve got subscribers you can communicate with daily, and your business will thrive. 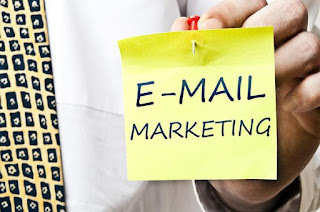 If you’re already into list building and doing it while branding yourself, but find it unresponsive, or too small, then begin driving more traffic to grow your list bigger then start cultivating your readers so your list trusts you, which is the key to being a profitable email marketer. Before someone signs up f or a list, they will want to have at least a rough idea of what they’re getting themselves into. That is, they will want to know if they’re signing up to be spammed legally; or whether they’re going to get regular, high-quality, inspiring content that makes a positive contribution to their lives. One way you can help to remove the doubt that people might have about your list is to give them free examples. For instance, you might consider creating a video that is freely viewable and at then ask them to opt-in f or the next video. Another idea is to have an archive of all of your past newsletters or ebooks freely accessible. Visitors can then browse this archive to see how frequently you pitch products, how frequently you provide good advice, free products, and how good the quality of your content is. As I mentioned earlier, cross-promotional methods are some of the least expensive ways to promote your business. And while they might take a while to take full effect, they can often generate tremendous results that will massively grow your list. One particular type of cross-promotion is a cross-list joint venture partnership. This typically involves identifying a number of list owners who might be able to provide some type of joint venture partnership value. Very frequently, two partners will collaborate on the creation of a single product, which they will then promote to their own lists and to others. At first, you might see this as a means to sell products, not grow your list, but think again! When your partner promotes the product to his or her list, your name and your site will now be associated with him/her. This will immediately endow you with the trust of his/her readers, which is something that could otherwise take you years to gain. With these types of partnerships, more is almost always good. As long as you have enough time to manage each of your partnerships, adding additional products and promotional events to your calendar will only serve to expand your influence and gain you subscribers. Instead of collaborating on the creation of a product, you might consider collaborating on a joint marketing scheme. That is, rather than simply agreeing to cross-promote each other on your own lists, you could agree to promote each other in a more broad sense. This collaboration might involve referring each other to clients and to individuals in the inner circles of your respective businesses. Instead of adopting either one of the strategies above, you might consider adopting a more specialized partnership. That is, you might focus on product creation (and, thus, back-end promotion of your owns site), while your partner focuses on promotion of the product through his or her list. This type of partnership arrangement has the potential to provide both profits in the short run; and, in the long run, back-end subscriptions. However, in general, it will be hard to maintain unless you have a JV partner who you can trust and are able to work well with. Unfortunately, in perceiving the republishing process this way, they deny themselves the opportunity to grow their influence and to gain additional subscribers. In particular, republishing allows list owners to spread access to their content, gain influence, and encourage new people to join their list. Furthermore, it is relatively simple to do: whenever you create an article (either in your newsletter or elsewhere), simply include a resource box below (or a header above) that contains information about you, the author and a link to your newsletter. You should explain that you allow the content to be republished, provided that it is unaltered and references you. In addition to simply allowing republishing, you should make proactive attempts to get your articles republished. Seek out relevant sites, and try to get them to consider your content. Of course, you can use the usual sources, such as http://www.ezinearticles.com to self-publish your articles in a prominent place. However, a better strategy may involve seeking out high-profile Internet-based magazines and attempting to get your work featured as a feature article. When it comes to getting subscribers, it is always a good idea to try to increase your conversion rate. Because it is the quick and easy way to add more people to your list at a f aster rate without changing your traffic generation strategies at all. One way in which you can convert at a higher rate is to add testimonials to your sales letter or squeeze page. Of course, the central focus should be the opt-in form; and you should avoid distracting visitors away from it. However, dressing the margins with testimonials or including them after the opt-in form is never a bad idea. It will build rapport with your visitors and encourage them to trust you and your list. Simple. Just ask your current subscribers to send an email with their testimonial. Written testimonials are fine, but if your readers are capable, it might not be a bad idea to include audio or video testimonials. These, of course, are more difficult, but having them on the site will greatly improve the image that visitors will develop of you. As mentioned in earlier tips, word of mouth advertising very frequently forms the lifeblood of businesses. It often brings in higher quality prospects, since a close friend has told them they can trust your business. In short, it is effective method for advertisement. One way in which you can do this—initiate a word of mouth campaign—is to use a “tell-a-friend” script, such as this one:http://www.smartaddon.com/. This should be available on your website and possibly linked to infrequently in your mailings. It will give your subscribers a quick way to tell their friends about something good or interesting you did. There is another cool tool called Pay with a Tweet Or Click to tweet. Basically, it's like a tell-a-friend form for Twitter. But this works by offering some kind of incentive to "tweet". You can offer a free report or video and ask them to pay f or it with a tweet.